Substituting telephones for paper has gone quite a long way for incoming customer contact. There are many services where it is possible - and often easier - to ring up than to write or to go there, wherever 'there' might be. Substituting phones for outgoing contact is much less advanced. Buff envelopes remain the characteristic and caricature of bureaucracy. That's partly because it it genuinely more complicated - providing a joined-up service requires much deeper integration than is needed for handling incoming contact - and partly because the problems of security and verification are seen as harder to manage. His proposed solution is to use SMS either to alert people to the arrival of a a letter or, better still, to displace the letter altogether. There's good reason to think that 'I didn't get the letter' is an explanation or an excuse (and it can be very hard to tell which) deployed in quite a range of situations. But that takes us back to the first two questions - are the people with a high propensity not to get (or to read, or to react to...) letters the same as the people who might find it easier to deal with text messages? 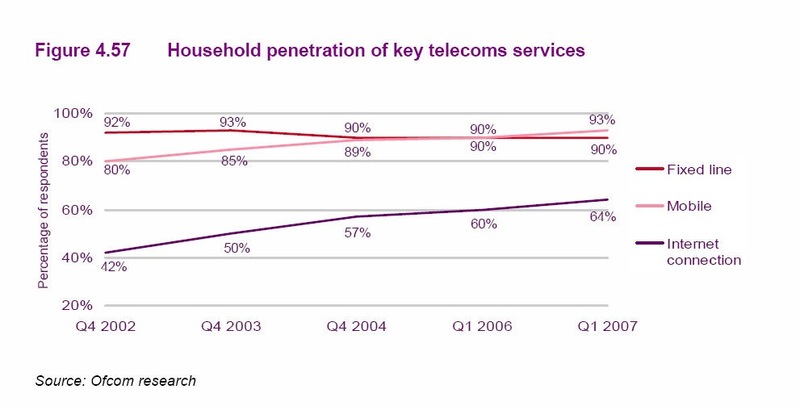 We can start with the latest Communication Markets Survey from Ofcom. 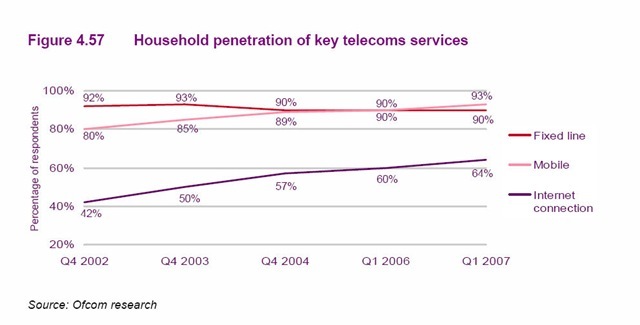 Digging down into the detail, we find that the number of households with mobile phones has overtaken the number with landlines. But that doesn't mean a great deal: 84% of households have both fixed and mobile, while 9% have mobile only and 7% have fixed only - and just 1% have neither. Two tables later, Ofcom reports that there is a socio-economic skew behind those figures: only 5% of ABC1 households are mobile only, but 15% of C2DEs. But the question of who has what preferences matters - and matters quite a lot, not just at the simple retail level of which of us does in fact have a particular preference for a particular channel in particular circumstances. The costs of adding an SMS channel may be low, but they are not zero. Like all such costs, they would be ideally be covered two ways: from enhanced customer value and enhanced operational efficiency. So then the questions are not just who might have a preference for being communicated with one way rather than another, but which particular steps of which particular processes are likely to work better for which customers to generate how much value for the customer and provider. So there is a very practical issue of user preferences and behaviour - best understood by getting out and doing it. But there is then a deeper question of how to change the underlying processes to support the qualities of the new channel rather than the old one, a bigger and harder job altogether.